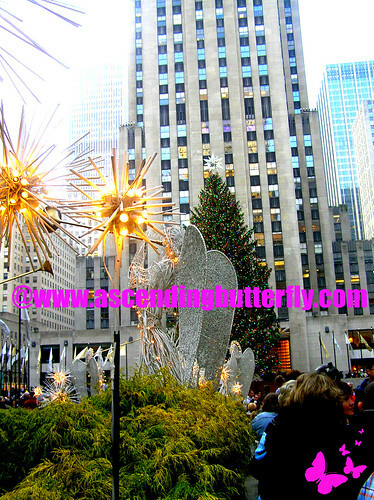 All things in and around Rockefeller Center in New York City during Holidays 2012! It's one of the most famous holiday trees and I've been visiting the new tree every year since I was a kid! 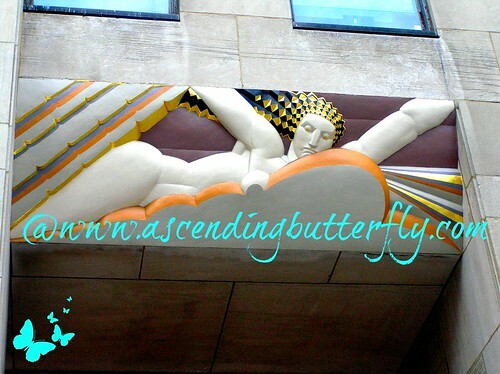 Yours Truly, Ascending Butterfly just enjoying New York City during the Holidays on my way to Rockefeller Center! 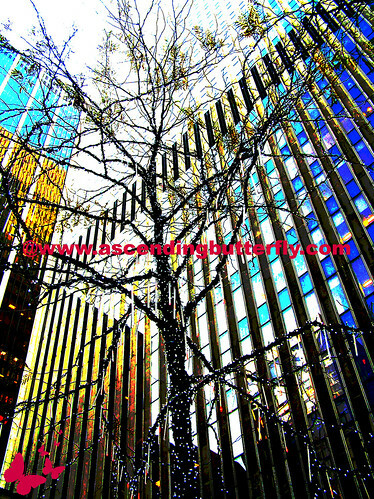 Mama Butterfly got inspired and took this creative shot of the tree. I only wish it had been at night so you could really see all the lights! Check out these cool big lights! Mama Butterfly loving the lights! Ascending Butterfly striking a pose! 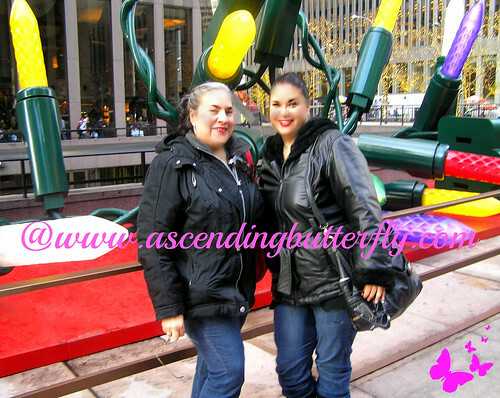 Left: Mama Butterfly, Right: Ascending Butterfly on our way to Rockefeller Center to see the Tree! The Rockefeller Center Christmas Tree in New York City! I really had to crouch to get the entire tree in the shot! Ascending Butterfly striking her best 'Vanna White' pose and presenting the tree! 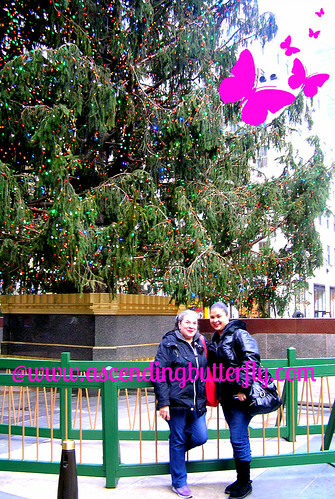 Mama Butterfly taking in the Rockefeller Center Christmas Tree! 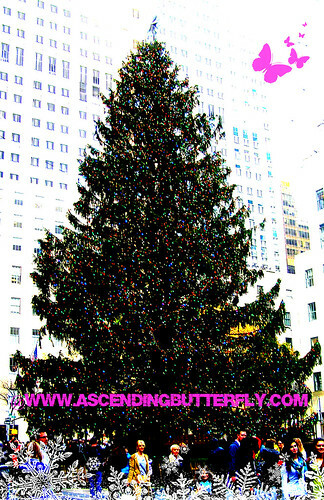 Ascending Butterfly enjoying her view of both the Rockefeller Center Christmas Tree and the Ice Skating Rink! 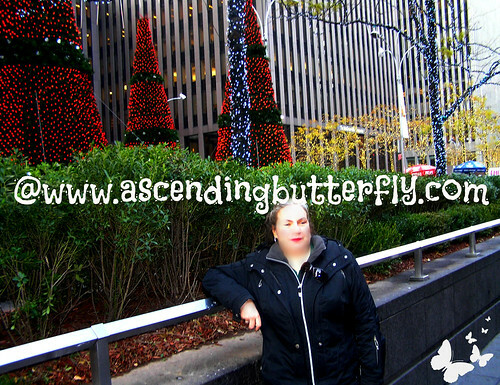 Mama Butterfly enjoying the view of the Ice Skaters as well as the Tree too! 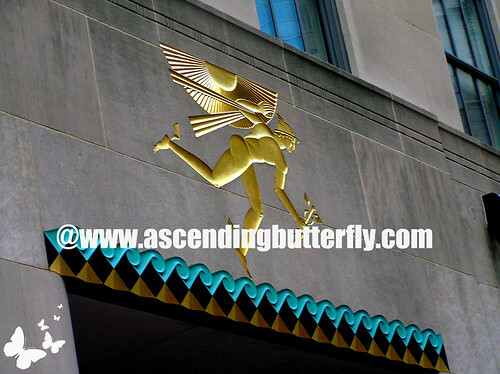 I have passed this every time I've been in the Rockefeller Center area and never took a picture of it, so I thought I'd snap a pic of it, which I had to do in three shots, see below for what's alongside this on the left and the right! 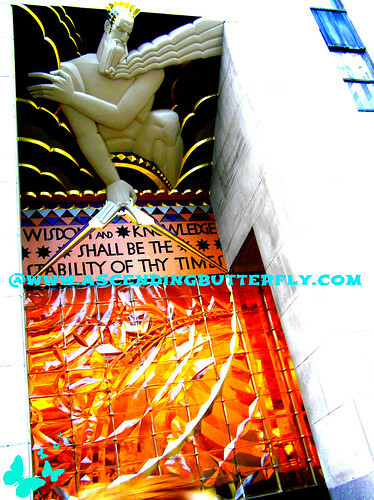 It reads: Wisdom and Knowledge Shall Be The Stability of Thy Times! Zoomed in a little closer! I can't believe I've passed this every day and never really stopped to get a good look or a pic until this year! Even though that's not the happiest face I wanted to get a picture of all three of them, I tried to get them into one shot but the detail would have gotten lost so I seperated them out! Nabbing this one wasn't easy because of all the foot traffic, but after a few tries, I finally got a shot that I absolutely LOVE! 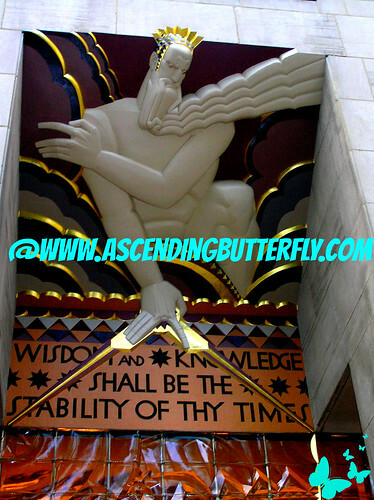 This statue of Prometheus at Rockefeller Center in New York City is one of the most photographed statues in New York City, especially at this time of year! I wonder what Message Mercury brings today? After a long day in the city, a quick rest stop, I liked the perspective of the Angels in front of the tree so I took a shot. 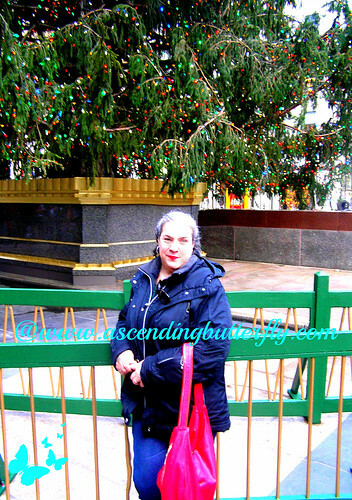 There is a special shot from this day I left out from this post for a reason, so there is one more picture from my Rockefeller Center Holiday Tree 2012 that is to come! Stay tuned! 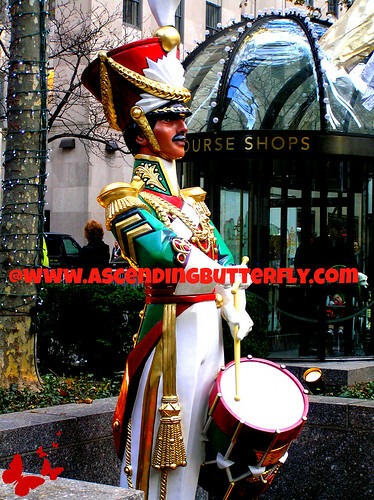 Happy Wordless Wednesday Butterflies! Don't forget to post your WW posts as a comment on this thread so we can see your pictures too! FTC Disclosure: This is NOT a sponsored post. 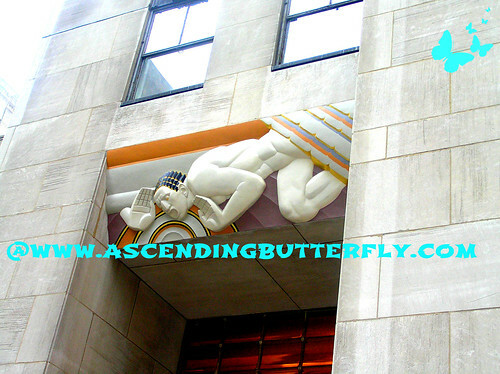 I have received no monetary compensation to share my experiences at Rockefeller Center. These are personal photos from a recent visit. I just love your photo's!! 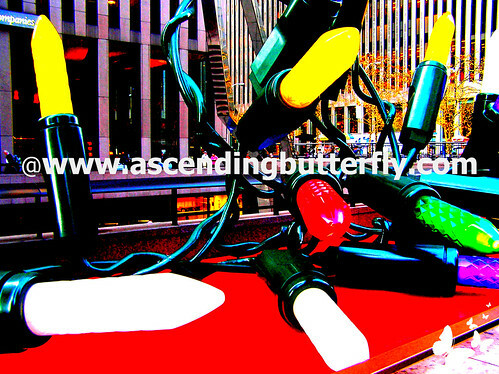 @Big Happy Buddha - There really is something magical to all those lights and being in New York City at Christmas. While I love travel, there is nothing like home for the holidays. I can't imagine being anywhere else during Christmas! Great to see the whole tree! And thanks for joining us this week on WW Bloggers. See you next week! Beautiful pictures. Can't wait to see the one you left out. New follower from the BSN blog hop.